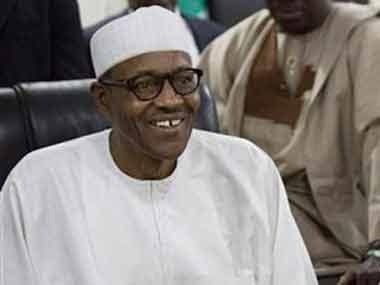 Makurdi: Two priests were among at least 18 people killed in a dawn attack on a church in central Nigeria, police said on Tuesday, in violence condemned by President Muhammadu Buhari as "satanic". Around 30 suspected herdsmen attacked the Mbalom community in the volatile region killing the worshippers and the two priests, said Benue state police commissioner Fatai Owoseni in the state capital of Makurdi. 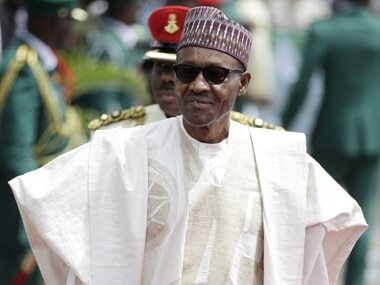 Nigeria's President Muhammadu Buhari described the violence as "satanic" in a statement. "This latest assault on innocent persons is particularly despicable," said Buhari. "Violating a place of worship, killing priests and worshippers is not only vile, evil and satanic, it is clearly calculated to stoke up religious conflict and plunge our communities into endless bloodletting." Worshippers were gathered for the daily 5:30 am (0430GMT) service at St. Ignatius Catholic church when they heard gunshots, said Mbalom resident Terhemen Angor to AFP. The Catholic Diocese of Makurdi confirmed the death of priests Joseph Gor and Felix Tyolaha in a statement denouncing the violence. 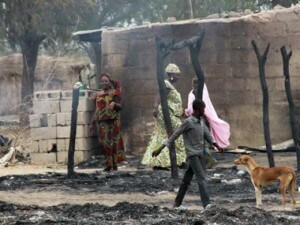 Riots over the killings erupted in Makurdi, the epicentre of the violence that has thrown the state into chaos. Police fired teargas to disperse a rampaging mob that took over a busy intersection and lit massive fires in protest of the latest attack. "We are under siege," said acting governor of Benue state Benson Abounu. "We have been attacked from all corners and this is unacceptable," he added. The area has long been a hotbed of ethnic, sectarian and religious tensions between indigenous farming communities, who are mainly Christian and the nomadic cattle herders, who are Muslim. The clashes over land have escalated into a rift that has deepened along nominally religious lines. Buhari, who is seeking a second term, has been under pressure to end the violence and ordered in military reinforcements, but the killings continue in the absence of a strong police force and efficient judicial system. 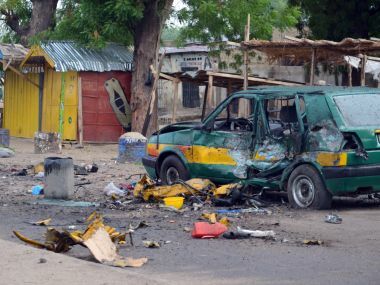 "People are being killed regularly and nothing is being done in terms of bringing perpetrators to book," Idayat Hassan, director of the Centre for Democracy and Development West Africa, told AFP. "There is this belief that there is a conspiracy against the people," Hassan said, speaking from Abuja. "It is getting worse and it's getting messier," Hassan said, warning "we must quickly address this, before we get into a free-for-all war."